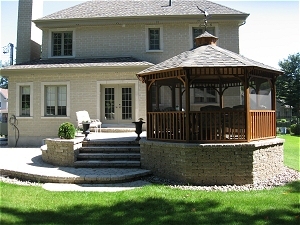 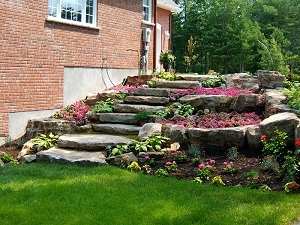 Strategically placed retaining walls add beauty and functionality to properties where there is a significant slope. 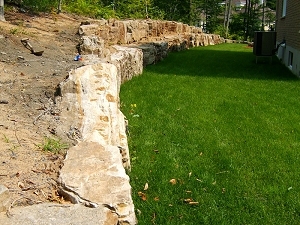 By constructing retaining walls, it is possible to terrace a sloping property and gain two or three flat and usable areas from what was once a sloping and unusable area. 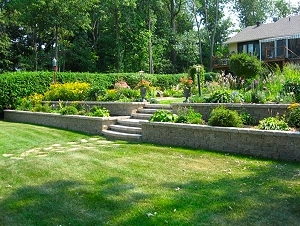 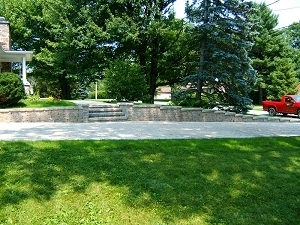 Retaining walls have great aesthetic value and create endless and fascinating opportunities for plantings of all kinds. 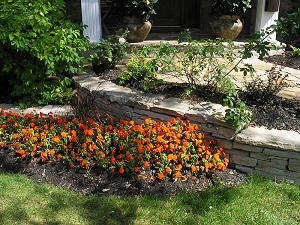 Retaining walls are also excellent for creating gardens at the front of a home, while hiding the exposed part of the foundation at the same time. 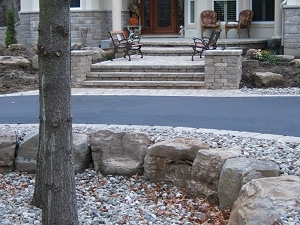 Uni-block retaining walls are great for projects of all sizes, and offer a good choice of colour. 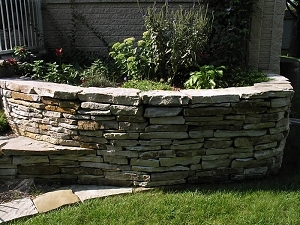 Layered flagstone walls are excellent for smaller walls, and provide a beautiful rustic look. 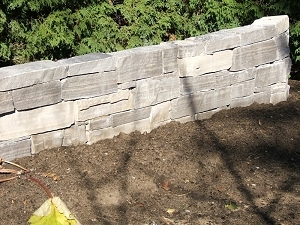 For larger jobs, drywall ledgerock walls provide a similar look to flagstone, but are capable of bearing a greater load. 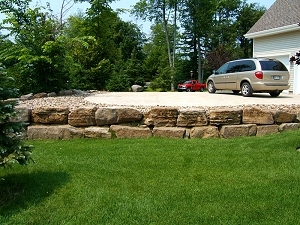 In both these cases, every wall is unique due to the time needed to chisel and fit each stone, one at a time. 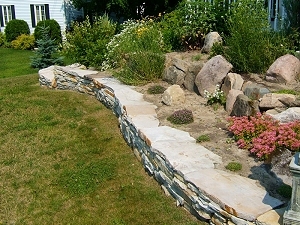 For very large jobs, natural boulder walls have unmatched substenance and presence. 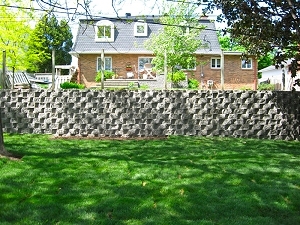 The sheer size and individuality of the rocks involved creates an impressive and imposing style unique to this type of wall.